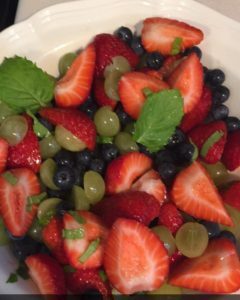 RECIPE: Fruit salad with a twist – A Healthy Balance, Inc.
Summer is in full swing and has been beautiful so far! All of this lovely weather has meant cookouts and pool side gatherings. I always offer to bring fruit salads to these types of gatherings. They make a delicious and nutritious summer treat, but the same old fruit salad can get boring after awhile! Try this tasty twist on traditional fruit salad to kick your side dish up a notch!